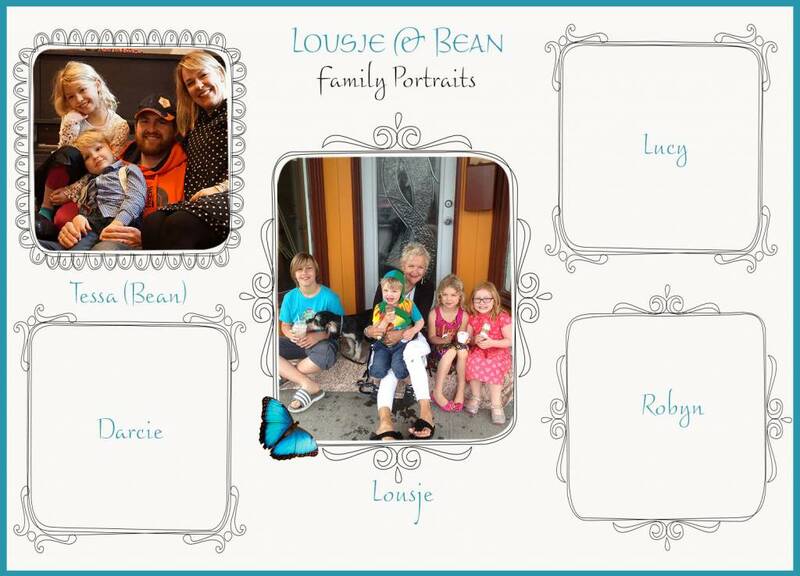 We are continuing our Family Portrait series where we go behind the scenes to get to know each member of the Lousje & Bean Family. If you missed Part One, a profile on Lousje, you can view it here. For Part Two, we are profiling the second half of the company's name, Bean, who is also known as Tessa, and have added her family portrait to the gallery wall. Here are nine questions we asked Bean to give you the inside scoop! Where did you grow up and what where your favorite memories? My three brothers and I were born in Grimsby and from there we moved to Campden, Jordan Station and then eventually St. Catharines, where I went to High School. Jordan Station was my favorite. Every summer we would have a child from the Fresh Air Fund, a program that my mother helped bring to the Niagara Region. It would give young children who lived in the ghettos in New York City an opportunity to spend their summers with a family out of the city. Jordan Station was the perfect place to kick around as a kid. We would fish, catch frogs, walk the big train bridge (when I was 5, don’t tell Lous) or I would watch the older ones jump off red bridge. I never complained about having only brothers, they were always looking out for me and I felt very safe with them. I just didn’t like being suited up as a goalie so they could take slap shots at me! Are you ready? !…..We have a Border collie- Nike, and a puppy Border collie X-Pippa, two budgies- Mika and; Nico, Ruby has a hamster-Owen and Oscar has a fish tank. No more pets please! What are your most favorite and least favorite things about working with your Mother? Well…No really I must say I love it; it’s awesome to have such a great relationship with her, I feel very lucky and fortunate to be together so much. We get to travel together and design together. She is very laid back, which helps a lot. We have both taken on different rolls unannounced and it has worked out great. Yes for sure there are arguments but they are very few and far between the good times! Well its really hard for me to break away from work especially in my head, it’s always there. Luckily I have my family to pull me away. In the summers we take the kids to 50 Point Conservation Park a few times a week to the beach with a picnic and end up at the pond to fish. I also love gardening, being creative by making jewelry or doing crafts with the kids. If you could spend a week anywhere in the world, where would it be? Anywhere hot and relaxing in the winter. As for summers, one of my brothers lives in the Crystal Beach Yacht Club and we love going there on weekends, being at the Beach. I grew up on Classic Rock but I'm really loving Indie music right now. What's your favorite thing about working in Downtown St.Catharines? What's your favorite restaurant in downtown St.Catharines? The Office after work for a pint of cider and an order of nachos to share is my fave….But don’t get me wrong I love a great dinner at LaScala as well. Tune into part three of this series where we will feature the next in line of our Lousje & Bean Family!